Ergobaum Crutches improve the quality of life for those needing to use walking devices- either for a temporary injury or for a chronic condition. With Ergobaum Crutches, you no longer have to suffer from hand, wrist, arm, or shoulder pain. Adjustable for any driver and virtually all vehicle types. It is so smooth that it's actually easier than driving with pedals. 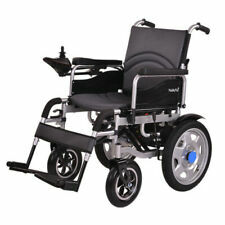 UK Stock, Powerchair £669.99 including U.K Shipping! 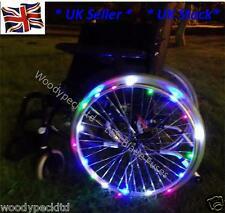 Pair of Wheelchair Lights - Ideal for Christmas parties - Be Safe & Be Seen in your Chair. Ideal for Christmas, Kids Parties & Disco's. Switchable mode - Always ON, OFF or Flashing mode. Fully Waterproof. Great for your daily driver or use when traveling. Use with automatic transmissions only. ◦ Portable, durable & light weight. ◦ Fast installation and removal with quick connect hardware. Trust your driving needs to QuicStick. Four functions - car handle, LED flashlight, seat belt cutter, window breaker. Ideal for seniors, people recovering from surgery or injuries, expectant mothers. Mini Car Door Handle. Easy to fold and carry. 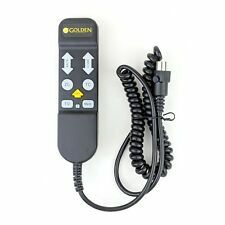 Neues AngebotTGA Wheelchair Powerpack - Spare Hand Controller with 2 keys. 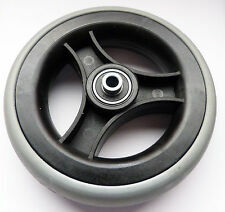 TGA Wheelchair Powerpack - Spare Hand Controller with 2 keys.. Used but in excellent condition. Delivery is generally within 1 working day if purchased early enough, we always stipulate 2 working days however for unforeseen circumstances. PLEASE NOTE# All products are security marked and then photographed due to customers changing their faulty parts for ours and returning items as faulty. Therefore, opening of the case / item or any evidence of tampering will invalidate any return claim. Any return will be subject to a full inspection and test, if the product is found to be working it will be returned with a video showing this, if it is found to be faulty we will refund any monies due promptly. UP-RATED from Standard 40ah & 42ah. LUCAS LSLC50-12. 12 MONTHS WARRANTY. The (LFA) (The Left Foot Accelerator tm) is the industries leader in design & quality. The (LFA) is also equipped with a quick disconnect allowing (LFA) to be released and removed from the vehicle when not in use. Sitzbreite ca. 29 cm. Sitztiefe ca. 25 cm. Rückenhöhe ca. 46 cm. Gesamtbreite ca. 48 cm. Gesamtlänge ca. 76 cm. keine Anleitung vorhanden. Wenn auf den Bildern keine Gebrauchsanweisung zu sehen ist, ist. Our edged C handles are works of art and a masterful design that was inspired by many suggestions and ideas from cane users all over the world, many of whom are expert cane handlers. It is solid, sturdy, comfortable and very effective. The Side Bag by Handy Bag. Founded by industrial designer Yuir Zair, the Side Bag was created to make side bags more accessible for electric wheelchair users. Made for electric wheelchair users. 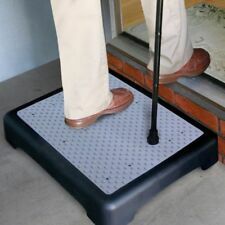 THE BEST CARRYING SOLUTION FOR ELECTRIC WHEELCHAIR USERS. UP-RATED from Standard 40ah & 42ah. LUCAS LSLC50-12. The Motor and Brake unit is from a used scooter but shows little signs of use and is in very good condition and perfect working order. · Total number of batteries supplied = 2. · Each Battery = Battery Capacity = 50 Ah. Product Title. Vehicle transfer seat that is safer and more stable than a transfer board. Car transfer seat! Passenger transfer made easy! Durable stainless steel components and easy to clean surface. Can be used in most cars and lower height SUV's. This is a battery manufactured by Haze Batteries & is specifically designed for Electric vehicles. Legxercise Pro is the Natural, Drug free way to. & Stimulate Healthy blood flow. Reduce swelling in your legs, ankles & feet. Sooth pain and discomfort. Im gefalteten Zustand bietet der Gemino 30 große Platzersparnis. Die Benutzung des leichtgewichtigen Rollators Gemino 30 ist sowohl für den Innen- als auch Außenbereich geeignet. Die leichtgängigen und pannensicheren Räder überwinden feste und ebene Untergründe problemlos. QuicStick Features Trust your driving needs to QuicStick. ◦ Portable, durable & light weight. Great for your daily driver or use when traveling. Use with automatic transmissions only. ◦ Instruction Manual. New Mayfair S dual speed tiller head. ALL NEW KNEEROVER GO HYBRID. Rollator RED 300 lbs. Application Rollator. Weight Capacity 300 lbs. Ergonomic handles are easy to grip and are adjustable in height. 7.5” non-marring casters are ideal for indoor and outdoor use. The WalkEasy Pediatric Tripod Cane features a straight neck, small inverted-V base, reinforced cross sections, derby handles, and a grip that can be rotated for right or left hand use. Base size 10" x 8", handle height adjusts for 21" - 28”. EX DISPLAY. THIS I EX DISPLAY AND HAS A SLIGHT CHIP ON BLUE LEAVER AND A MARK ON THE OTHER IT HAS SLIGHT SIGNS WERE ITS BEEN HANDLED. At this point, the item will be re-listed. Can I collect the item?. Only OEM “PARTS FROM FreeRider Luggie”. AA0A-0101-OD1 (analog)- Top Console Assembly. 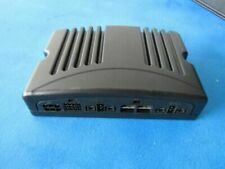 Need the Digital Console Assembly?. 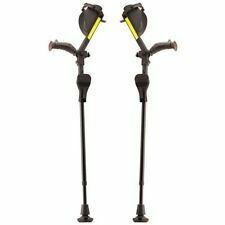 iWalk 2.0 Hands Free Crutch Knee Walker Alternative Crutches Universal Fit. Open box, but condition is Brand New. Diestco Model: C2320 Universal mounts. Weather breaker Canopy. From carrying bags that easily attach to the back of your wheelchair. RoHo Quadro Select Mid Profile QS109MPC Wheelchair Cushion 19.5" x 17" x 3.25"